Maria Robinson, co-chair of MVA's Transit Action Team was on CBC's On The Coast yesterday, talking about our work on the Transit Referendum - skip to 00:52:30 to listen in. 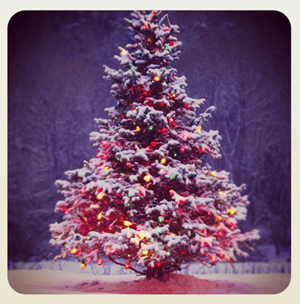 MVA Newsletter: Upcoming Events, Rally For Fairness and Happy Holidays! 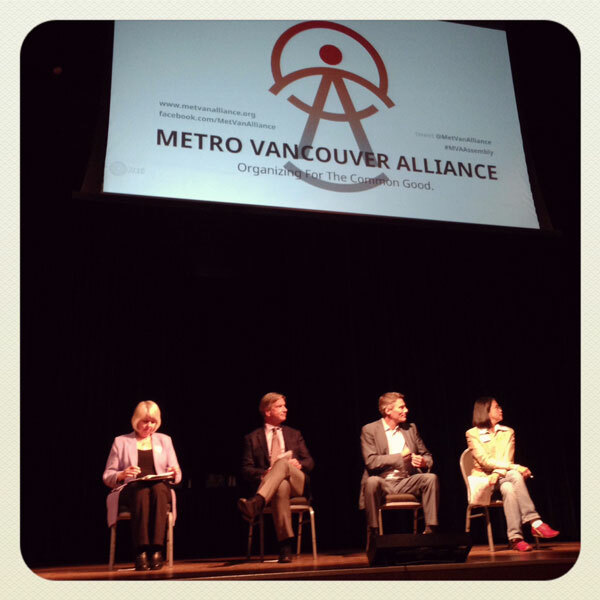 Metro Vancouver Alliance Campaign Action Teams are working hard to keep our political leaders to the promises they made prior to the municipal election. The Transit Team meets Wednesdays and is working on a campaign to encourage people to vote to pass the transit referendum and organizing MVA forums on transportation issues before the referendum. The Social Isolation Team is still organizing meeting times, but is holding a pot-luck on December 10th - all are welcome! The Housing Team meets the 2nd Thursday of the month to work on holding Vancouver's municipal government to their commitments. Housing team members are also involved in supporting the campaign against the sale of Stamps Place community housing in East Vancouver. The Poverty/Living Wage Team is busy ensuring Vancouver's municipal government lives up to their commitment to make Vancouver a living wage city and meets the first Thursday of every month. There's more information and the full timetable for upcoming meetings at our new website. Please think about joining one of the teams if you are not already involved! Almost 40 representatives from MVA member organizations (and future MVA member organizations) attended our last Leadership Institute! Another is scheduled for January 30th and 31st, 2015. Details and registration. 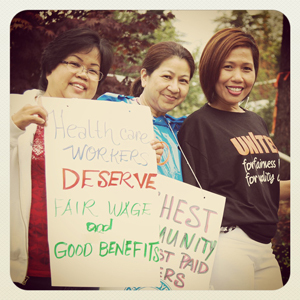 MVA's Living Wage Campaign Action Team is supporting our members from Hospital Employees Union (HEU) working at the Inglewood Care Centre. Please come along to their rally on Dec. 11. Details at facebook. We wish you all the best over the Christmas Holidays and we look forward to working together in the new year to help make the Lower Mainland a better place for all of us. Here's some video from the Municipal Accountability Assembly on October 9th - our presentations around social isolation, transit, poverty, and housing as well as the candidate's responses.